By making buildings more energy efficient we can take advantage of the cheapest ‘energy resource’ out there. DGA, in collaboration with the Energy Efficiency Business Coalition (EEBC), organized an event highlighting the huge economic and environmental benefits of improved energy efficiency for Colorado’s Governor Hickenlooper and dozens of business leaders. The Governor toured an upgraded energy-efficient building in downtown Denver, witnessing the energy savings firsthand. The retrofit has reduced the building’s annual electricity costs by $120,000 annually. 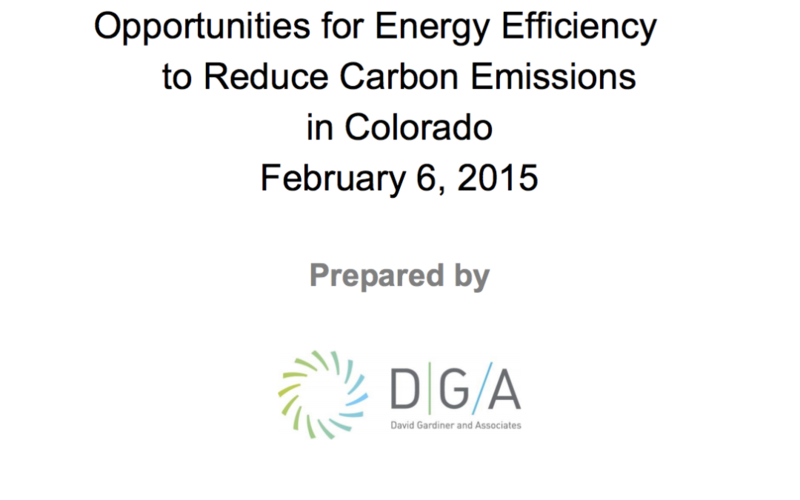 DGA also prepared an analysis for EEBC in Colorado, surveying existing energy-efficiency policies and potential opportunities for energy efficiency to help the state meet its emission targets in the Clean Power Plan. Citing analysis by the American Council for an Energy-Efficient Economy, the report notes that Colorado could reduce its emissions by 24% below 2012 levels, create 10,200 net new jobs by 2030 and avoid $1.4 billion in consumer electricity costs between 2016 and 2030 by expanding use of energy efficiency.